You've probably heard the term, 'functional strength training' and thought - Really? How can lifting a weight a bunch of times possibly be functional? It's not like you spend your day doing things like triceps extensions or chest presses. If you did, you would probably be a fitness model or something. 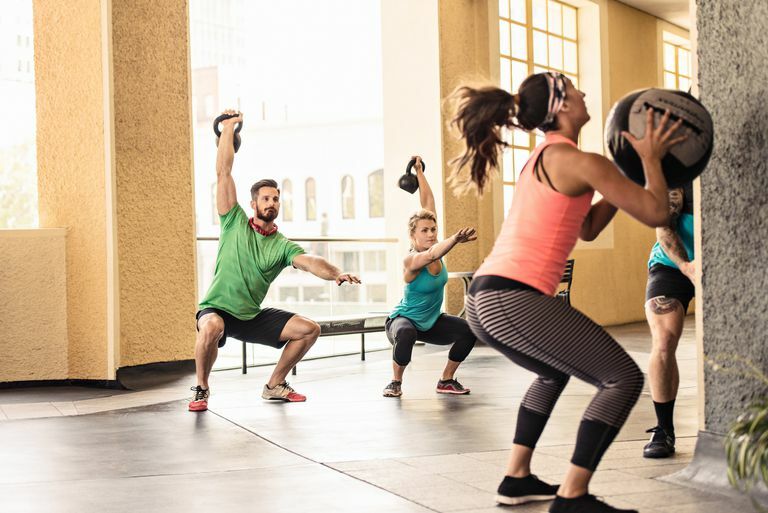 Maybe we don't do those exact exercises every day, but we do use those muscles all day long and that's where functional strength training comes in: Training our bodies to better perform the types of movements we use for everyday life. The time spent developing dynamic strength, flexibility, and agility carries over into your daily activities, making life a little bit easier. Lifting: Laundry basket, grocery bags, kids, etc. To get better at these daily movements, strength training is a must and there are four functional exercises that will help you get the most out of your body. Performing these several times a week will enable you to do more with less effort and more confidence. Push-ups: Start with wall push-ups and progress to placing your hands on the kitchen counter. You can do 5-6 while waiting for the microwave to finish. These firm your chest, arms, abs, and back. Squats and lunges: Most reaching, lifting and bending movements involve an element of squatting or lunging. Remember to push out your tush and don't let your knees go farther forward than your toes. You'll strengthen your knees, quads, and hips. Grocery Bag Lift: Each time you go shopping strengthen your arms by lifting a bag 6 times to the front, side and rear. You can also do a modified bicep curl. Just remember to keep your shoulders back and abs tight while working your arms. Lift: Pick-up that heavy pet food bag or laundry basket by squaring your feet shoulder width apart, squatting down, grabbing hold and pushing up with your legs. Put it down and do it again. If your knees hurt, practice lifting from a chair until you get stronger. Just as athletes train for their specific sport, we have specific household or recreational activities to train for. Make your training count; make it functional.